Expanded 5 Bdrm Center Hall Colonial! 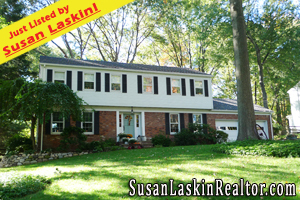 65 Baylor Ave in Hillsdale, New Jersey ($778,950!) is a fantastic & updated Center Hall Colonial that boasts a stellar location and a deep & magnificent property! There is a huge Kitchen addition w/ stainless appliances, granite counters & updated wood cabinetry, a large Breakfast Room that leads to the expansive deck, a large Family Room and a large Formal Living Room w/ hardwood floors. The large Master Suite has an updated Master Bath and 4 additional spacious bedrooms and updated baths. With a huge & private rear yard, inviting deck and in ground pool, this home has incredible value! Just Incredible in Woodcliff Lake! A Remarkable Opportunity to Move into this Unique, Wonderful & Magnificent Custom Built Center Hall Colonial w/a Contemporary Exterior! 3 Hunter Ridge in Woodcliff Lake ($1,498,950!) boasts a soaring Entry Foyer defined by the remarkable rounded custom wood staircase which appears to float to the upper level & defines the space. There is a Great Room w/ stone fireplace, a warm & inviting Formal Dining Room and Family Room, and an exceptional Kitchen & Breakfast Room w/ a wall of windows, an immense center island, and beautiful cabinetry. Upstairs you find a Romantic Master Suite, an immense Master Bath and 4 additional master sized Bedrooms (each w/ private bath & walk in closet). Lower level features a large gym, climbing wall, office, tv room, full bath & 3 car garage. So many custom features waiting to be loved by another family! Don’t miss your opportunity! 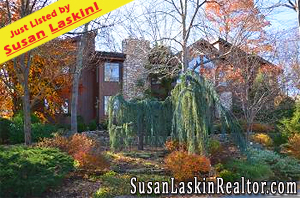 Bergen County Real Estate Links! My Feature Homes! 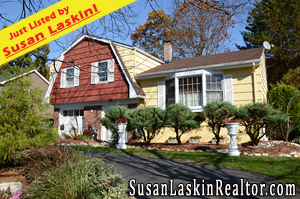 - Some incredible listings across the wonderful Bergen County towns! What's Your Home Worth? - Click here to use my Free & Instant Home Value Analysis Tool!